Lalotte. 1916. Oil on canvas. 55 x 35.5 cm. 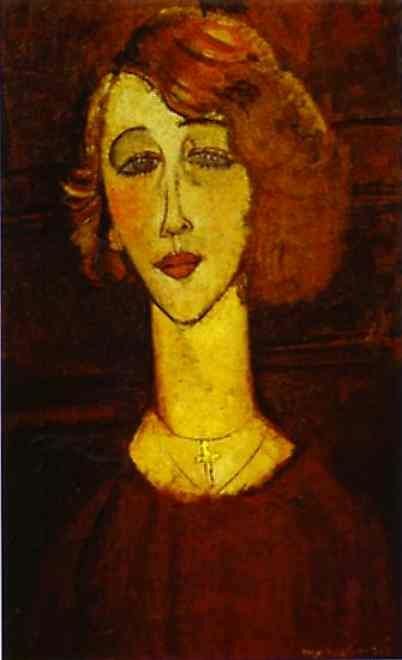 Musée National d'Art Moderne Centre Georges Pompidou, Paris, France The swan-necked woman portrait by Modigliani is easily identifiable. Most of them were lovers while, some were paid models. This entry was posted in Amedeo Modigliani and tagged Amedeo Modigliani, amedeo modigliani paintings on December 3, 2018 by canvasart.